Another Open day in Cartoon Saloon and Lighthouse Studios! Nora Twomey on The Breadwinner and life as an animator. Nora recently talked to John Meagher from the Irish Independent about her journey getting to where she is today. She dropped out of school at 15 and took a factory job before finding her calling in animation. Now, Cork's Nora Twomey - one of the founders of the Oscar-nominated Cartoon Saloon - is working with Angelina Jolie and has been hailed by Variety as one to watch. 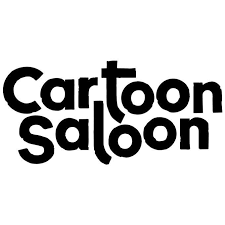 It may be one of the most creative places in the country - and a leading light in Ireland's renaissance as an animation nation - but the studios of Cartoon Saloon are easy to miss. Located in a lane-way close to St Mary's Cathedral in the heart of Kilkenny city, this innocuous- looking building would be easily overlooked if you were none the wiser. Those who visit this vibrant tourist town might expect a place that has twice been Oscar-nominated to be a bit more visible, but the trio behind it seem to like it just the way it is.